SheepBot mascot in my view. You can see the 'S' shape sheep which is represent Sheepstop. 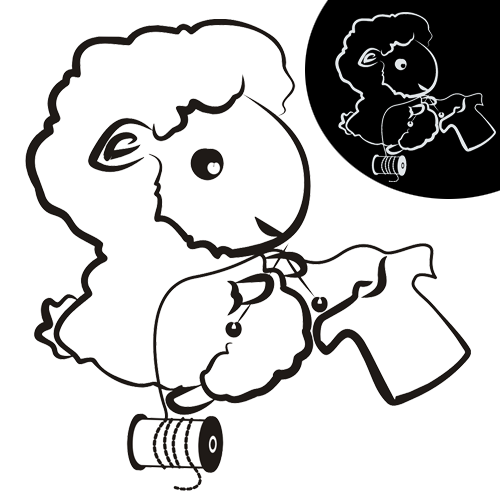 Sheep is weaving a T-shirt that also represent sheepstop.